These exclusive stylish frames from Wale use polycarbonate lenses which are both lightweight and scratch-resistant. They filter sodium flare, IR, and UV similar to glass Didymium or ACE lenses. 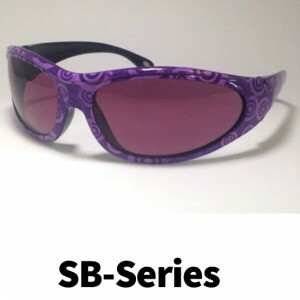 The purple frame glasses weigh 34 grams.